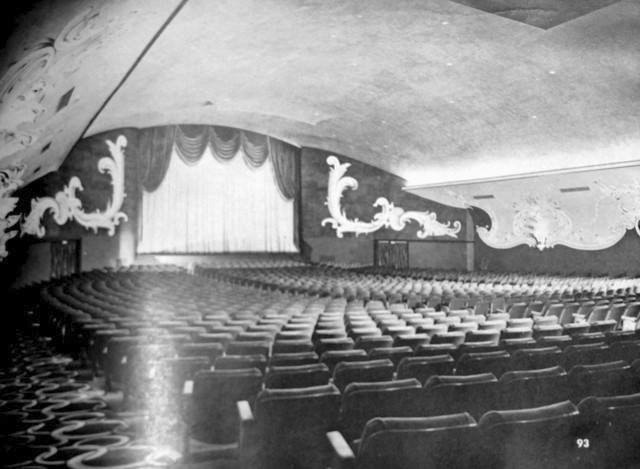 Before the modern multiplex movie theaters of today like AMC, Burbank had its single screen movie palaces. One of the biggest and very popular among locals was the Cornell. Located on San Fernando Rd. between Bethany and Cornell Dr. it was one of the most stylish movie houses in Burbank. It boasted an ultra-modern exterior with a posh lobby and a theater interior of gold painted wall art and red velvety upholstered seats with beautiful carpeting throughout. You felt like you were somebody just buying a ticket. Many remember the Saturday matinees for .25 cents, popcorn, milk duds and a drink would break the bank at .30 cents for the three! You also got 2 feature films! Such a deal! 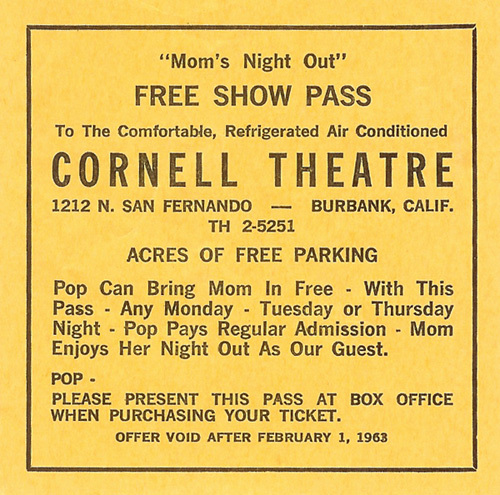 As with most good things, the Cornell theater began to decline and multi-screen theater complexes were beginning to appear in other towns drawing people away from Burbank. By the time I became a Cornell fan (I felt so grown up as an 11 year old to go to see a movie with my friends.) the interior was in decay and a joke of the time was that “you had to wear two pairs of pants. One pair to leave stuck to the seat and one pair to walk home in”. 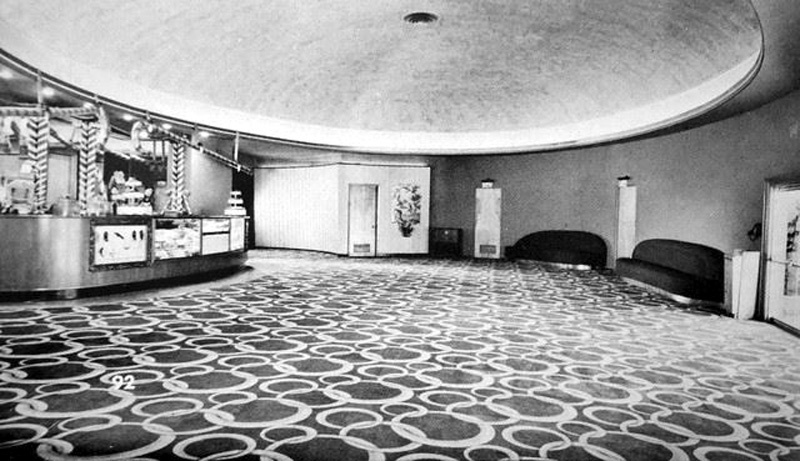 Sad to say I don’t get that same feeling of Awe when I go into the AMC as I did at the Cornell even as old as it was. 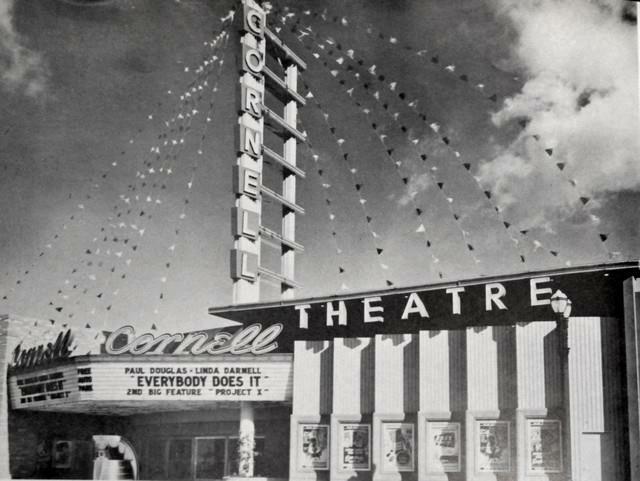 Next time you go to Popeye’s or Pizza hut or across the street at Mc Donald’s, think of the 50 foot tall Cornell sign reaching skyward with its Neon lit letters and the glowing marquee with today’s film displayed. Back when there was real magic in “going to the Movies”. 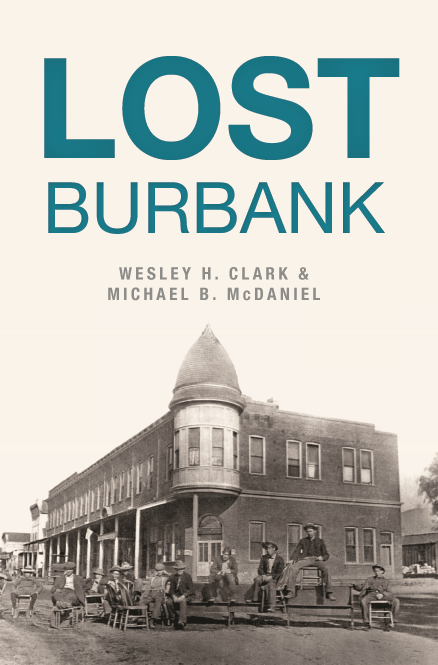 Slowly fading with the city’s ever-changing landscape, the places and people of Burbank’s past tell a vibrant story. Before the arrival of Warner Bros. and Walt Disney, First National Pictures built its original studio lot on Olive Ave in 1926. For over sixty years, Lockheed Aircraft Company produced some of the nation’s best airplanes where the massive Empire Shopping Center now stands. Heavyweight champion James Jeffries turned his Burbank ranch home and barn into a beloved landmark and boxing venue. Inventor Joseph Wesley Fawkes’s scheme to build a monorail to Los Angeles became a local laughingstock. Diehard Burbankers Wes Clark and Michael Mc Daniel collect these and many more forgotten local stories where they can finally be found. This entry was posted in Flashback Friday, News and tagged Cornell Theater, Flashback Friday on March 10, 2017 by Burbankia Mike.